If you are in need of other select instruments, or a full band to record your song, please let us know! We have a selection of some of the finest, world class musicians around, most of which you can hear on my media page! Mixing, producing, and mastering services are also available. I am also available for live shows and touring and I’m flyout friendly with passport. For the recording process, I use a direct signal using the A-Design REDDI direct box, with no EQ or processing. This box is amazing! The tone is warm, full, and even giving you the optimum starting point to sculpt as you need. The price for a bass track starts at $50. Price can vary according song complexity and and number of times a re-take or modification is needed. Price includes 2 free modifications, $10 per modification after that. This is why it is important to be as descriptive as possible when sending your track. Bulk discounts are available for multi-song orders (for an album) when all songs are ordered and paid in advance. 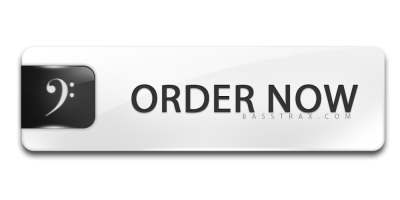 The recording for Basstrax is done with the support of Mad Rabbit Media. A world class recording facility utilizing state of the art equipment that will deliver tones that are clean, fat, warm, even, and true!